Because he is as devoted to authenticity as anyone who writes in our sub-genre of military historical fiction. 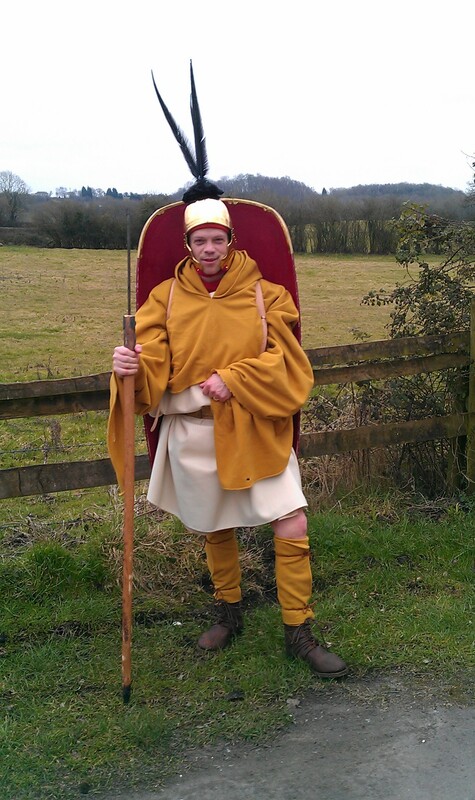 That’s Ben, in Roman Legionary kit, pinched from my friend Robin Carter’s blog. In fact, Robin will provide a guest post this Friday, as I’ll be in the Adnacrags–er, the Adirondacks. But… why does authenticity matter? Well, at least for me as a reader, it’s like this. Ever see an episode of ‘Sherlock’ on BBC? When I’m reading Historical Fiction (or fantasy, to be honest) and I come to something I know to be untrue — historically… and friends, that’s just as valid in fantasy, and if you read this blog you already know why–if I hit one of those moments, I have an alarm in my head that sounds like Benedict Cumberbatch saying ‘boring.’ It is boring. Falsity is boring. It wastes my time and my effort and entertainment time in reading. Look, I am an author, and one thing you learn when you are an author is that every reader is different and some won’t like you. Some will like you for odd reasons and goodness, I hope Ben does not read this and wince. But the truth is, I don’t really need a great plot to enjoy history. I know how it ends anyway. What I want is immersion — a few hours where I’m there. I could be buying horses in a Celtic horse market, or sneaking up on a Roman outpost, or plotting rebellion against the bloody Romans… or maybe marching for hours as a legionary with my feet hurting because my hobnails are finally working their way through the bottoms of my caligae. That’s what makes me a happy reader. Immersion. the sense that I’m there. Now, in fact, I am not one of those readers who snarks at the least deviation from the events of history. This may shock some of you, and I’m sorry, but we don’t actually know very much about what happened on ancient military campaigns. We have a handful of histories, all written by people with something to sell — trust me, Thucydides was as much a politician as Tony Blair or George W. Bush, Livy was no better, and Polybius and Diodorus Siculus… well, the less said the better, really. 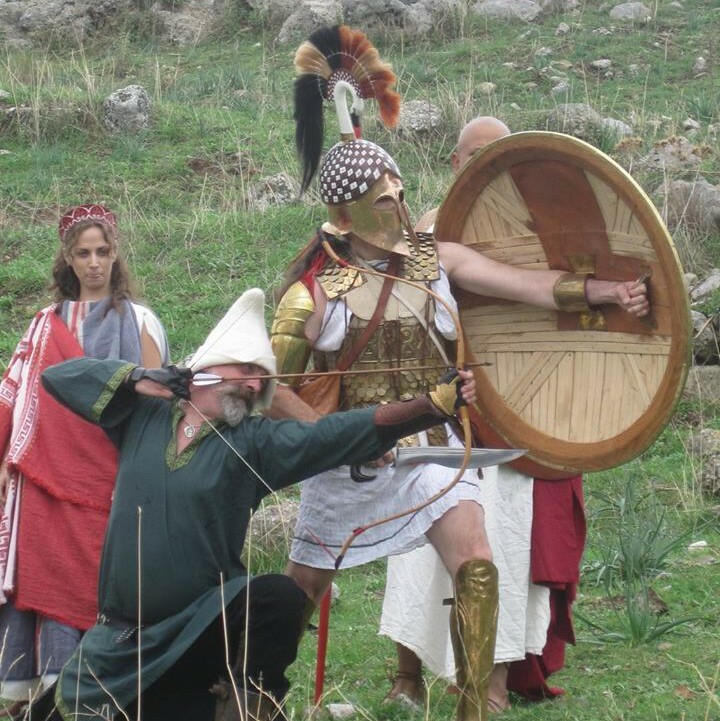 On most of the key events of the most important military campaigns of the ancient world, we have one or two accounts written in some cases a hundred or two hundred years after the fact. Osprey books and the like tend to give campaign histories as if they are biblical fact, but we all know the bible isn’t to be taken at face value, right? There are very few ‘facts’ when we ask hard questions about where horse fodder came from for Caesar’s German cavalry. Or even, how many of them there were. But we do know a little of what they wore and what weapons they used, and we can even get pretty deep into what they ate and even what kind of horses they rode. Those are the details that we know, so when they are missed, its boring. The day to day plot of the campaign? Its not simple. We don’t know the hows, and in all too many cases, we don’t know the whys. And that, my friends, is why it’s such a joy to be a novelist instead of an academic. And why, in a long, possibly over wordy nutshell, it’s a joy to read Ben Kane. How cool is that? It is life experience that informs writing–not just reenactment experience, but real life as well. Yes I find it hard when something happens that just isn’t right, it’s why I find it hard to watch historical or fantasy movies. Of course if one says something, as I did for example when seeing the archers at full draw ages in the trailer for the Battle of Five Armies, I get the response…. well its fantasy….. To which my reply is in such situations. Well if they can’t make me believe the things that are real, I’m not going to believe the things that aren’t. Just so. Myallegory, I guess, is that when I read a work of–oh, I don’t know, something hard, like neuroscience, or philosophy, or perhaps climate change…and when I find the author refers to, say, history, or martial arts and get it totally wrong…I’m suddenly suspicious of her entire argument. Exactly! I first heard the idea as a child when my father would say that he would be reading a book on history revealing some new insights about a subject or period but then there would be suppositions on archery or other areas that he new about in detail, that the author had quit plainly and utterly wrong, at which point he would have grave doubts about all the information.